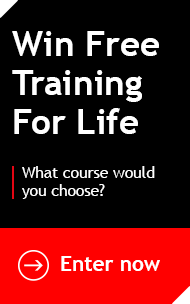 Right now Firebrand is the only UK training provider that can provide you with your (ISC)2 exam during your course. Firebrand has gained Pearson VUE® Select Status. You can get CISSP, CCSP, and SSCP certified faster with Firebrand than any other UK training provider. You’ll sit your exams during your course just steps from your classroom. Getting certified faster means you can get the benefits sooner: accelerate your career and boost your salary. Choose from the full range of Firebrand’s all-inclusive and accelerated (ISC)2 courses or read on for more information about Pearson VUE Select Status. What is Pearson VUE® Select Status? Pearson VUE® Select Status is required by (ISC)2 – the organisation responsible for world renowned IT security certifications like CISSP, CCSP, and SSCP. Pearson VUE® Select Status requires extensive security measures inside the testing centre and when identifying students. This is important as it protects the integrity of (ISC)2 certifications using enhanced biometric and surveillance technology. Which Certifications require Pearson VUE® Testing? 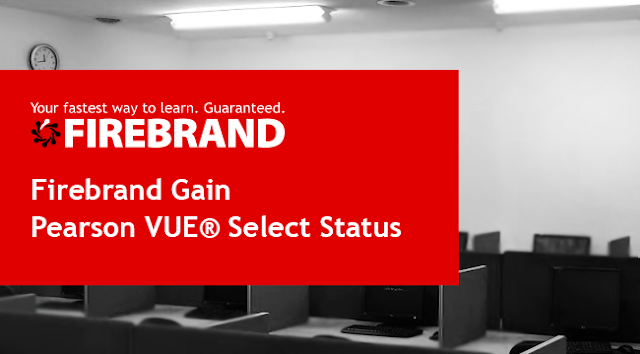 To achieve any (ISC)2 certification students must sit their exams at a Pearson VUE® Professional or Select status test centre. Why is Pearson Select More Secure? Does (ISC)2 store my biometric data? Neither Firebrand or (ISC)2 collect or store a direct copy of your palm scan. (ISC)2 have given a detailed description of the process: “Palm vein recognition examines the unique patterns in a candidate’s palm veins using a safe, near-infrared light source like that in a TV remote control. This technology is fast, highly accurate and secure”. (ISC)2 biometric palm scanners creates a template pattern from your scan that is only meaningful within the (ISC)2 database – the digital template it creates would be different to that of a different organisation, so it’s only useful to identify you within the context of everyone who has taken the test. This way, they can compare the palm pattern to all other current and past candidates, preventing people taking the test several times under different identities. You are required to scan your palm once at the start of the exam and after a break during the exam. When you finish, the template is sent to Pearson VUE® via encrypted transmission.